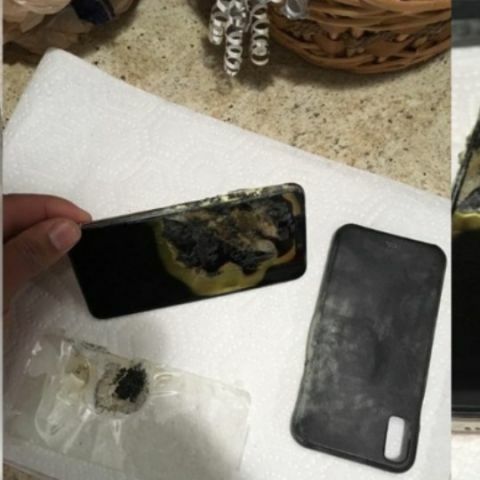 The Ohio man said that the iPhone XS Max was kept in his back pocket when the device started to emit heat and a lot of smoke. The victim is contemplating legal action against Apple. Apple is going through a difficult time. Its products have been banned for import and sale in China and Germany. It is at loggerheads with chipmaker Qualcomm and is reportedly struggling and their recent update apparently left iPhone users in a lull after several of them reported that they were no longer able to use LTE on their new iPhones. Now, an iPhone XS Max has reportedly exploded in a man’s trousers in the US, putting too much in Apple’s plate to finish. According to a report by PhoneArena, an Ohio man escaped an unfortunate incident when his three-week-old iPhone XS Max (unidentified variant) exploded while it was in his pocket. Josh Hillard says that his phone was in his rear trouser pocket when it randomly began to dissipate “a large amount of heat” as well as green and yellow coloured smoke. By the time Hillard went to a private spot to check it, the phone had caught fire. The fire left the owner unhappy as he inhaled a lot of smoke “from the time of first noticing the fire and between removal of the pants and taking the phone out of my pocket and placing it outside.” The psychological trauma forced him to contact Apple customer service and safety department specialists, both in person and by phone. Reportedly, he has been offered a new phone as reimbursement. The report said that the victim doesn’t consider this to be an acceptable way of settling this unfortunate affair, and is said to be “contemplating legal action” for this. This is not the first time that iPhones have faced such demise. 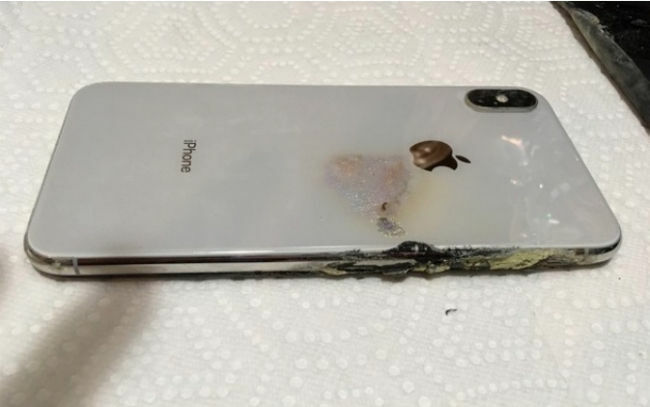 In November, a user complained that his iPhone X spewed smoke while he was charging and updating the device to iOS 12.1. In January, a man was injured when the battery of an iPhone exploded at an Apple Store in Zurich. The Apple iPhone XS Max was launched in September at a starting price of $1099 (or Rs 1,09,900 in India) and goes up to $1449 (or Rs 1,44,900 in India) for the top-end model. It comes with A12 Bionic processor and a massive 6.5-inch AMOLED display, which is the biggest display that Apple has ever offered. It has a dual 12MP+12MP (Wide Angle + Telephoto) sensors at the back and a True Depth 7MP camera on the front.